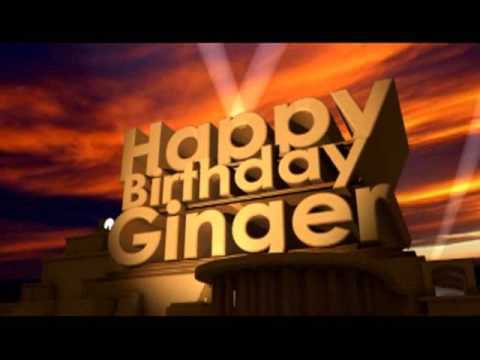 Happy Birthday, @LorenTheGinger! Your brother better make sure you have an excellent day! I’d say you need some ginger ale, but since youre not 21 yet, you should get some ginger pale. And… No alchahol for you. Or maybe it’ll be a slumber birthday party!! wait… are we too old for that stuff? . _ . Your brother better make sure you have an excellent day! Never. No one’s ever too old for slumber parties. No one’s ever too old for slumber parties. is that something i should get ready for? Any specific parts of Europe? I dunno if it’ll actually happen, but we’ll see how my finances fair then. Happy Birthday! Enjoy being on the planet for two decades! I realize I’m a bit late, but happy birthday! Yadda yadda late. Yadda yadda birthday.